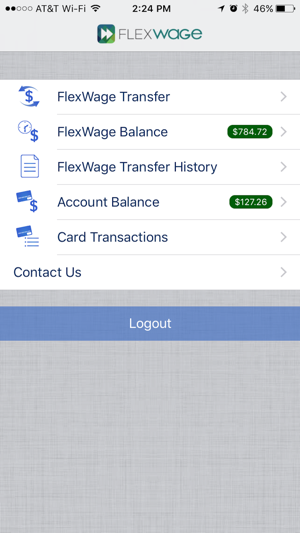 Access your PayCard account and earned wages with the official FlexWage app for iOS. 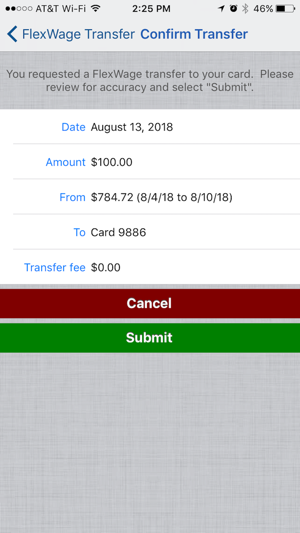 A qualifying FlexWage account is required. All access and use of this App is subject to and governed by End User License Agreement, Website Rules & Regulations and Privacy Statement. There is no charge from FlexWage, but message and data rates may apply.